With a hard earned win against compatriot Matthew Ebden, the fiery Australian has set up a quarterfinal clash against former Brisbane International runner-up Alexandr Dolgopolov, who beat Horacio Zeballos 6-1, 6-2 in the second round. 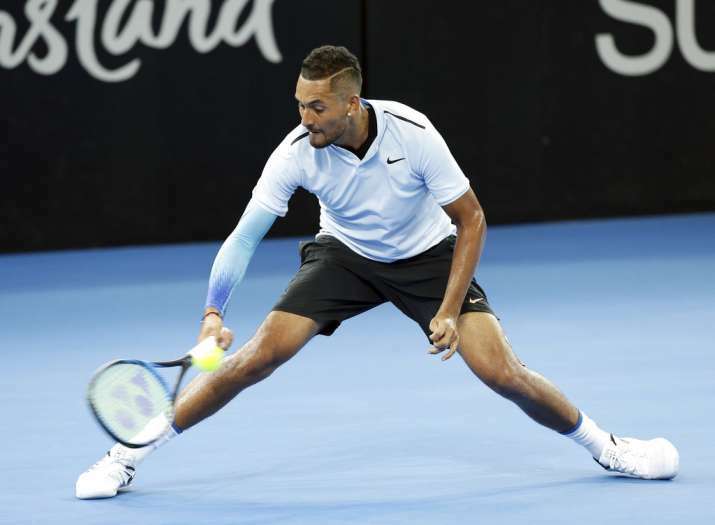 Nick Kyrgios overcame a knee problem to outlast fellow Australian Matthew Ebden 6-7 (3), 7-6 (5), 6-2 on Wednesday and move into the quarterfinals at the Brisbane International. Third-seeded Kyrgios called for a medical timeout after nine games and had further treatment two games later to have his left knee taped. His movement appeared to be hampered but he still had too much for Ebden and set up a quarterfinal against former Brisbane International runner-up Alexandr Dolgopolov, who beat Horacio Zeballos 6-1, 6-2 in the second round. Elina Svitolina advanced to the women's quarterfinals with a 6-3, 6-1 second-round win over Croatia's Ana Konjuh.